Peace process means Irob community could be rent in two with some ending up in Eritrea and others remaining in Ethiopia. “This place is definitely Ethiopian,” said farmer Haise Woldu, 76, gesturing to a church with an ornate brick facade in Engal, set to the backdrop of a jagged mountain range. 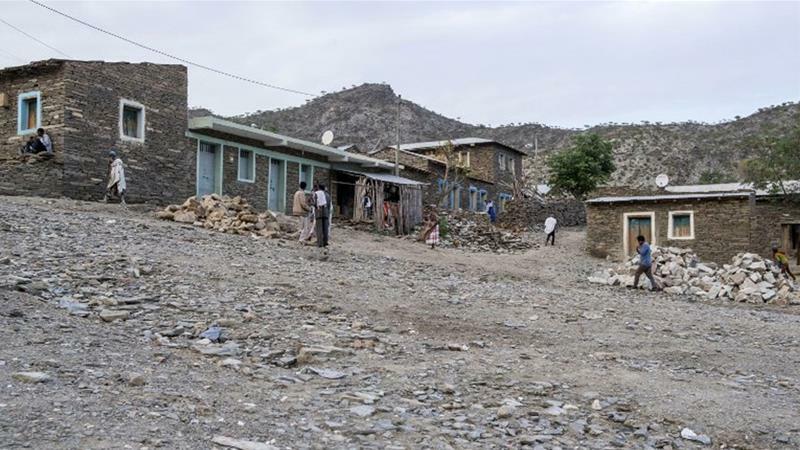 His town, Engal, lies along the arid frontier between Ethiopia and Eritrea, whose exact border has been a subject of debate for over a century and the cause of a deadly war between the two nations which ended last week. A breakneck peace process between the former foes over the past six weeks hinges on Ethiopia’s vow to finally abide by a 2002 United Nations ruling on the frontier, which states that Engal is in fact Eritrean. This means Haisie’s minority ethnic Irob community, spread across the region, could be rent in two, with some ending up in Eritrea while others remain in Ethiopia. “This decision will divide the population,” Daniel Hagos, a Catholic priest in Alitena, an Irob town 10km northeast of Engal, told AFP news agency. Other leaders of the Irob community, which speaks the Kushitic Saho language, want peace but warn that changing the status quo could wreak havoc with their way of life. They have warned that transferring land in the rugged Irob region to Eritrea would also force visitors to Ethiopia’s Irob areas to pass through Eritrea. In the past 150 years, Eritrea has passed through the hands of the Ottomans, Egyptians, Italians, British and Ethiopians who annexed it in 1952 after a brief period of autonomy. The tiny Red Sea nation – which comprised Ethiopia’s entire coastline – went on to fight a bloody independence war before successfully leaving after a 1993 referendum. The resulting border was never properly defined, leading to a dispute that sparked clashes and escalated into an all-out war that claimed 80,000 lives between 1998 and the signature of a peace deal in 2000. Eritrea captured the Irob areas early in the conflict and held the territory for almost the duration of hostilities. The region is one of the few centres of Ethiopian Catholicism, introduced in the 19th century by Italian Saint Justin de Jacobis. It is dotted with Catholic and Orthodox churches perched on cliffs and hills. Ethiopia’s rejection of a 2002 UN ruling on the demarcation of the border threw Addis Ababa’s relations with Asmara into deadlock, prompting Eritrea to seal its borders. The stalemate appeared destined to continue indefinitely until Ethiopian Prime Minister Abiy Ahmed took office in April, announcing an aggressive reform agenda – and stunning observers by agreeing to respect the boundary ruling. Huge crowds turned out in Asmara to welcome Abiy and in Addis Ababa to greet Eritrean President Isaias Afwerki. But in the Irob district, accessed by a narrow dirt track dotted with military checkpoints, residents protested Abiy’s announcement. Irob people guard their rights jealously and fear the return of the Eritreans who abused them during the occupation, according to district administrator Niguse Hagos. “This decision will disintegrate the people of Irob,” he warned, adding that the land ruled Eritrean by the UN is home to one-third of the district’s 33,000 people. No land appears to have changed hands yet and an AFP correspondent saw Ethiopian tanks deployed to the area with their barrels facing Eritrea. Some Irob people hope that peace between the neighbours could improve their situation. The nearby Eritrean market town of Senafe would become accessible, potentially stimulating trade in the impoverished region. Other locals hope warming relations will help them learn what happened to the 96 Irob people who disappeared during Eritrea’s occupation. 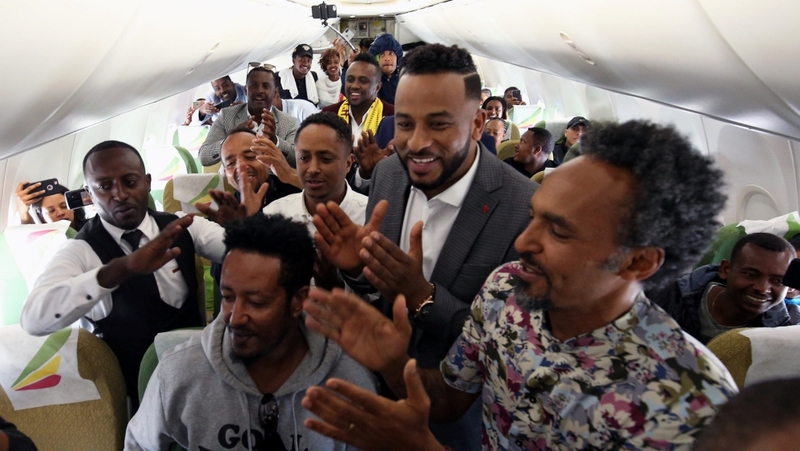 “Ever since the news, we’ve all been glued to the television,” said Abrahet Niguse, a trader whose husband was taken by Eritrean troops for allegedly giving food to Ethiopian soldiers. Eritrea, once vocal in demanding the land awarded to it by the UN, has toned down its appeals in recent weeks. 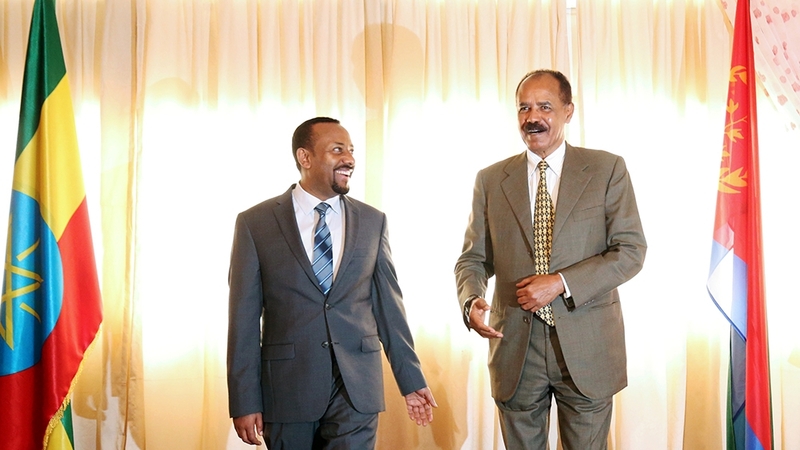 During his visit to Addis Ababa last week, Isaias hugged and joked with Abiy – but did not mention the issue. The bond between the two men could make the exact demarcation of the new border irrelevant, according to Mammo Muchie, a professor at Tshwane University of Technology in South Africa. Many Irob people yearn for the era before the war when they could cross between their now artificially divided valleys.